Looking for a great golf course in a bucolic setting with a fun social environment? Welcome to Foxborough Country Club! 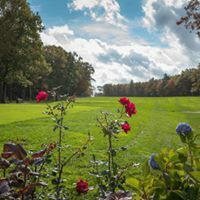 FCC is a member-owned, semi-private golf club in a perfect setting - conveniently located between Boston and Providence, minutes from the intersection of Routes 95 and 495, and just a few miles from Gillette Stadium, Patriot Place, the XFinity Center and TPC Boston. Besides an ideal location, Foxborough Country Club offers the perfect blend of cost, quality and access. Being a semi-private club, Foxborough members enjoy reasonable dues. However, the club feels and operates like that of a truly private club - with public play limited to certain weekday times and Monday outings. Various membership levels afford member, spouses and families to pick the perfect offering for them. What makes FCC so enjoyable is its people. When the round is done, the membership at Foxborough enjoys relaxing in the clubhouse or outside on the new two-tier-patio between the 1st and 10th tees. The camaraderie and atmosphere are second to none. Our membership includes long-time members who can tell you the history of the club, couples enjoying an evening out, and parents and children taking advantage of our family hours on a weekend afternoon. There are many membership options. Details are found under our GOLF tab. The course itself is truly special. Set on 200 acres, the Geoffrey Cornish design is a traditional parkland style par 72 (men), par 73 (women) layout that offers everything from family tees to a 6,850 challenge from the back tees. After warming up on the driving range, players will find tree lined fairways with relatively few hazards to get in your way. There is a premium on driving the ball well, however, and even more critical is successfully negotiating the various elevations and slopes of the greens. Whether it’s a casual round or playing in one of FCC’s many competitive annual events, the course always presents a challenge and never disappoints. Foxborough Country Club’s mission is to be the club of distinction for individuals who desire a superior golf experience and a first rate social and family atmosphere. It is a club solely focused on the golf experience and the love of the game. Foxborough Country Club welcomes a diverse membership and places an emphasis on customer service. It has a comfortable not pretentious feel, where members are valued for their contributions and are proactive in a belief of constant improvement. Our member-comprised Board of Governors oversees the operations of the club and member satisfaction. The exemplary staff is dedicated to providing a member experience that makes Foxborough Country Club one of the top clubs in the area.